Following on from my last post, here’s the second pile of fabric from my sewing room and the plans I have for it. I picked up the New Look pattern from the first meeting of the new Chichester sewing group so thank you to whoever donated it. See below for a reminder about the next meeting. I have two possible fabrics for this dress. The one on the left is another Lucienne Day print from the Peter Jones sale. This one is called Serenade. I will probably underline or line this one as the fabric is quite lightweight. The floral fabric is a curtain remnant from C & H fabrics and has a bit of a 60s vibe which I think will work really well. Not sure if I’ll make a toile. Probably, I usually do. The second fabric is a barkcloth which came from the Olympia Knitting & Stitching Show a couple of years ago but I can’t remember who I bought it from. I’ve made Simplicity 1109 several times and it works well with a fabric with some structure. I believe this fabric frays like mad which has put me off using it so far. The paintbrush fabric was a vintage charity shop find for £2. It is slightly bonkers. The pattern is the Sew Over It Tulip Skirt when it was originally published in Simply Sewing magazine. I’ve made it twice before but both skirts are now too big. They are in the alterations pile and I may tackle them eventually as they are both made with fabric that I particularly like. I’m well behind everyone else on the Cleo dress bandwagon but I got this pattern for my birthday from Baby J’s mum and dad so that bypassed the pattern buying embargo. The fabric is a grey denim from Ditto. I also have to confess to buying a loose weave denim from The Fabric Godmother on Saturday which will also become a Cleo! The next photo doesn’t look much different from one in Post #1 but this fabric is a very lovely mustard/gold denim from The Fabric Godmother. My first Brumby skirt was made from this fabric and I miss it as it no longer fits. Finally, I don’t think this fabric made it into one of the piles. It is a pair of curtains from a vintage sale that really need another wash as they are still slightly musty! I’m going to try the Deer & Doe Chardon skirt as I’ve seen quite a few of these on IG over the last year or two and I love the pleats. Perhaps one of these will be the fabric I cut out to take along to the next meeting of the sewing group on Wednesday 12 July – TOMORROW! If you’d like to join us come along to St George’s Church Hall in Cleveland Road, Chichester from 7.00 – 9.00 pm. We’d love to see you. Here’s the report on the first meeting. I was really pleased with the style and fit of my grey denim twill version of this re-issued vintage pattern from the 1960s so had always had planned to use it again. Apologies for a second post about it so soon after the first but the new version is quite different. When I spotted this piece of vintage fabric on The Eternal Maker’s de-stash I ignored my decision to forego fabric purchases in May. It was my only deviation from my no new fabric commitment. As I’ve previously reported, when I picked up my purchase from Anna she told me her grandmother had made a dress for her aunt from the fabric in the 60s and this piece was what was left over. Anna had also altered and worn the original dress herself many years later. It’s not a style of fabric I would normally choose but I’m a sucker for vintage fabric and even more so when I know the story behind it. I realised after I posted this photo originally that the left hand image shows the reverse of the fabric. Apparently it’s a common practice to use the ‘wrong’ side of fabric with Hawaiian prints and my sister has a beautiful chaise upholstered using the reverse of a Sanderson fabric. I was tempted to try it out but in the end, after much standing in front of the mirror swapping from one side to the other, I decided to stick with the ‘right’ one. A 60s pattern paired with a 60s fabric. Hopefully a perfect combination! I have so many things on my summer sewing list but I went ahead regardless. I made no changes this time other than not make a mess of the bottom of the invisible zip and have to unpick it three times! I also didn’t bother finishing the neck facing with bias binding as I only had some scratchy black binding to hand. Pattern matching across the back wasn’t possible as due to insufficient fabric but I do have a small amount left that I’m tempted to make some ruffled cuffs with. I may go back and do that at some point. I wore the top to the theatre on Friday night to see Tennessee Williams’ “Sweet Bird of Youth”. I wasn’t quite in line with the fashions of the era as the play was written in 1959 but not too far off! I usually make ‘orphan’ skirts but to be honest this is a bit of an orphan top. The only thing I had to go with it was some black trousers. I rather fancy a pink skirt if I can find fabric in the right colour. 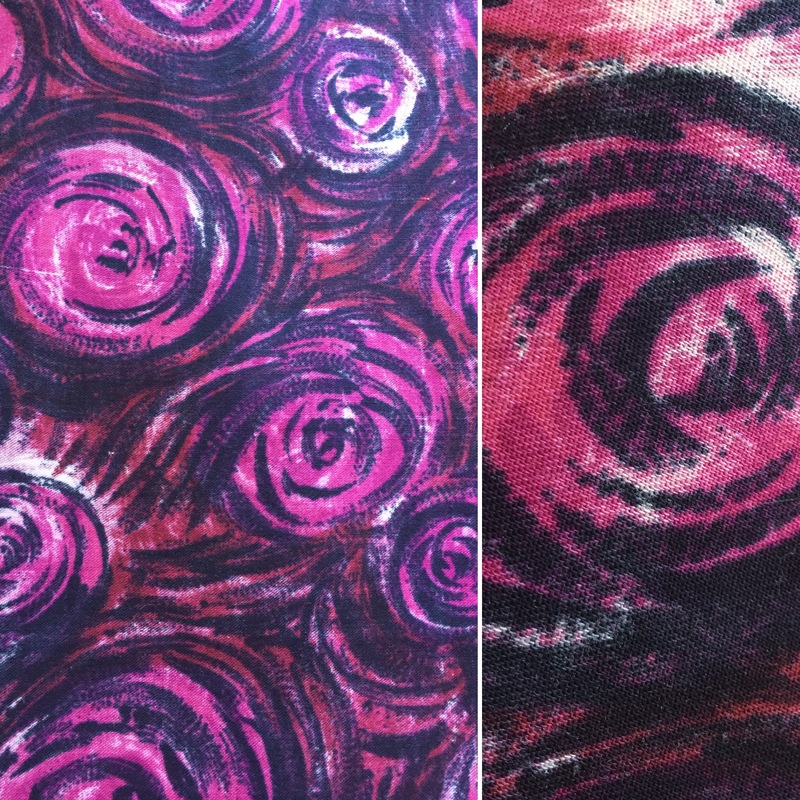 I hope I’ve done this fabric justice – I wonder if anyone in the 60s paired this fabric with this pattern? NEWS FLASH! Don’t forget that this Wednesday, 14 June, sees the first meeting of the new Chichester sewing group. Click here for more details. This post is particularly relevant as it is Makers for Fashion Revolution Week, a campaign which asks the question “Who made my clothes?” Whilst I make most of mine it has set me off thinking more about where the fabric I buy has come from. I am sometimes guilty of succumbing to the temptation to buy lovely new fabric without too much thought about how or where it was made. 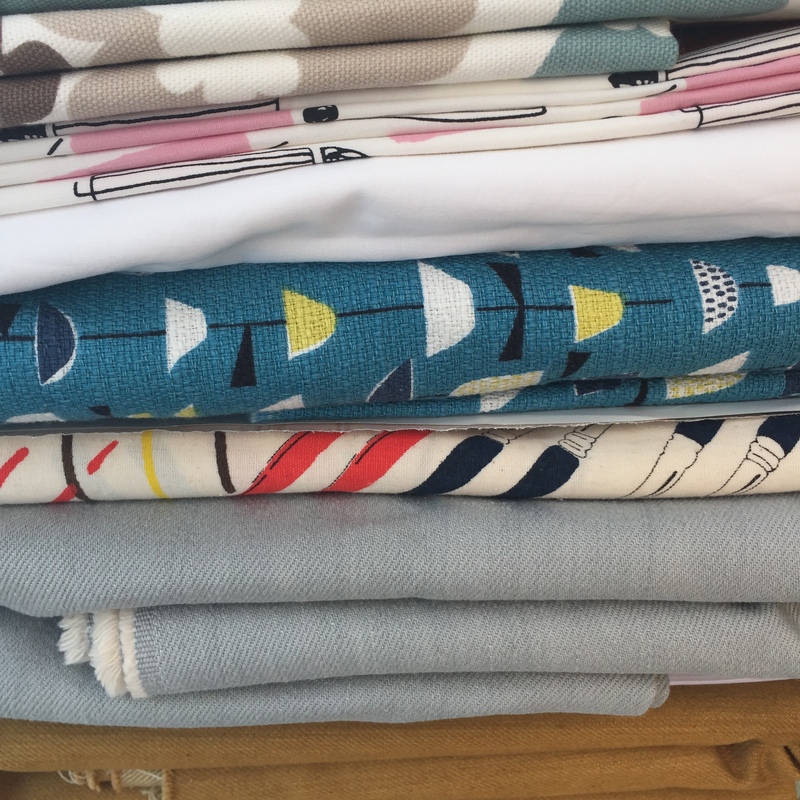 However, I do also buy secondhand fabric and we spend a LOT of time in Chichester’s charity shops, usually doing a trawl of most of them on a Saturday. Our favourite, as I’ve probably mentioned before, is the St Wilfrid’s Hospice Retro & Vintage shop at Eastgate Square. Over several recent visits I’d noticed a folded piece of fabric tied with string and labelled “?1960s vintage fabric”. I picked it up more than once but the colours weren’t really what I would normally pick so back on the shelf it went. I eventually decided that at £6 I might as well just buy it! There turned out to be three large pieces – I’ve not measured them but there is at least enough for a dress and a skirt. On further inspection I spotted the wording on the selvedge and did some research. I discovered that a Conrad Von Hamm moved to Hawaii from Germany in 1890 at the age of 20 where he worked for a successful local businessman named Alexander Young. He later married the boss’s daughter and he and his father-in-law set up the Von Hamm-Young Corp.
After his father-in-law’s death in 1910 Conrad took over and expanded the business and as well as selling machinery and automobiles he began to produce fabric under the name THC Hawaiian Textiles. Apparently any fabrics with a VHY tag is from the 1950s – 60s, THC means that it was produced in the 1960s-70s so the shop label was correct. Here’s the fabric in all its glory. I’ve no idea what type of fabric it is. When I visit Ditto Fabrics at the weekend I will ask for an expert opinion. The design has started to grow on me since I posted the image on Instagram and had several positive comments! 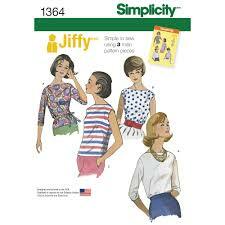 I think I might try making a dress using Simplicity 1609 as this is a re-issued 60s pattern. I’ve already made a bedsheet toile. I would dispute the term Jiffy in relation to this pattern as there are a lot of darts to sew – neck, bust, back and seam – but miraculously the bodice is a perfect fit so no changes needed there. I cut the 10 but did need to reduce my seam allowance slightly at the waist for breathing room. Yes, I have put a zip into the toile – Mr Jane Makes is wonderful in many ways but not so hot on pinning someone into a toile to check the fit! I’ve since waited a week to walk off a large Easter egg and it is still OK fit-wise! There is a front seam too but after a conversation with @vintage_charity (who has made this dress up several times) I think I may eliminate the seam allowance and cut it on the fold to avoid the need for pattern matching on the front.